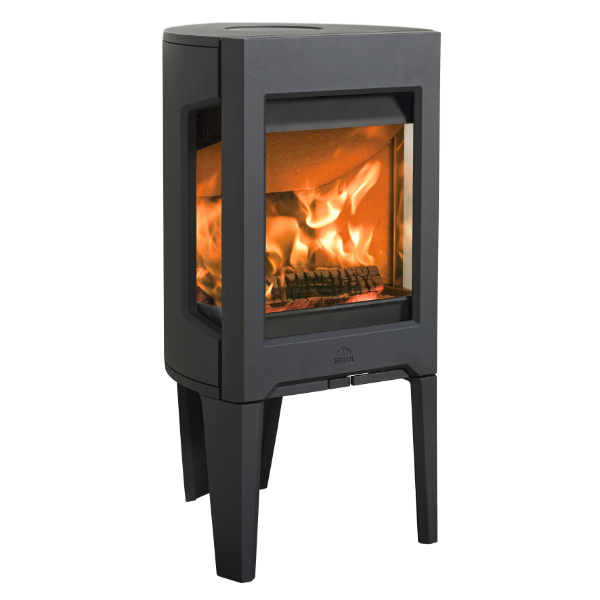 Jøtul F 163 is part of the F 160 series which consists of six main variants, with or without side glasses and with different leg options and cast iron bases. 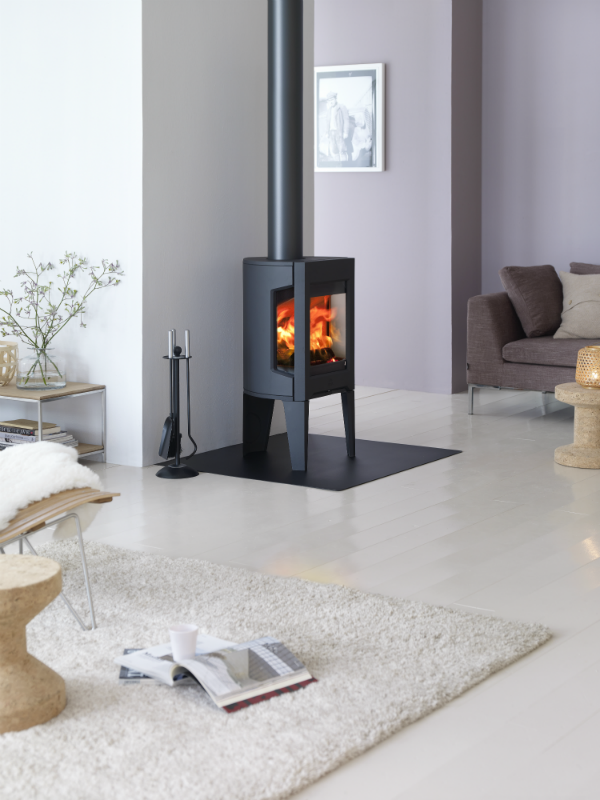 Jøtul F 163 is characterised by its large side glasses and three sturdy legs that give the stove an easy and modern look. 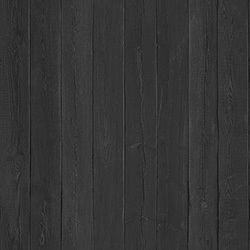 There are also different finish options and you can choose either black paint or maintenance free black or white enamel.